Founded in 2002, we honestly care people and sincerely introduced advanced techniques and instruments in a vision to bring more brightness to people. 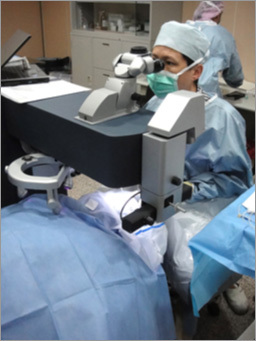 ★Swiss Z8 OCT guided 3D Ultra thin-flap Femto-LASIK to correct shortsightedness, farsightedness, and astigmatism. 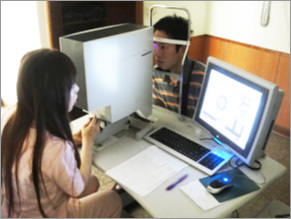 ★German WaveLight Eye Q excimer to correct presbyopia. 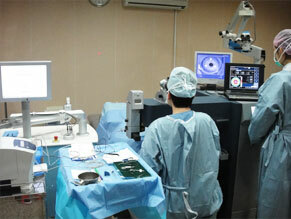 ★Swiss Z8 Femtosecond laser-assisted cataract surgery. ★America Alcon Centurion active fluidics small incision cataract surgery and intraocular len implantation. ★Retina tear, detachment, hemorrhage, edema…treatment by Argon laser. ★Botulism and hyaluronic acid microplasty. ★Clinical research at AugenKlinik, Universitätsklinikum Carl Gustav Carus, Dresden, Deutschland. ★Clinical study at IROC, Institut für Refraktive und Ophthalmo-Chirurgie, Zurich, Swiss. 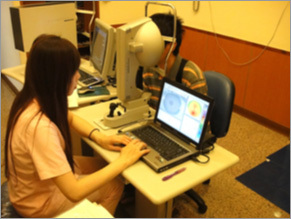 ★Experimental & Clinical study at Singapore National Eye Center. ★International member, American Academy of Ophthalmology. ★Member of Ophthalmological Society of R.O.C. 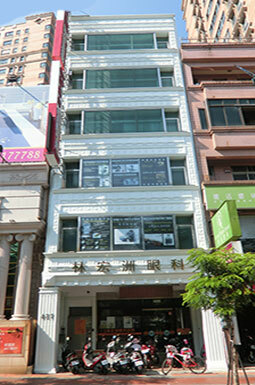 ★Ophthalmological Specialist of R.O.C. ★Certificated by Educational Commission of Foreign Medical Graduate, USA. Small spot, focused precicely, laser speed more than million per second (Mega Hertz), laser duration can be as short as 200 femtoseconds (10-15 seconds), laser energy can be as low as 50 nano Joules (10-9 J), can make small, uniform clear cornea incision, also can make round, central openings of the lens with right size, and cataracts can be divided into small pieces by the laser to reduce the amount of used ultrasound to enhance safety of minimally invasive cataract surgery and postoperative visual acuity. Swiss Z8 femto laser developed integrated optical coherence tomography (OCT), accurate scanning of the epithelial and Bowman’s layers of the cornea to detect any abnormal situation, before deciding on the thickness of the corneal flap lift (pictured above), can safely made ultra-thin corneal flaps (80~100 μm, and schedule 1 micron), making the corneal flap and corneal nerves heal fast and stable, can leave a thick and strong basal layer of the cornea, can correct more degrees of myopia and astigmatism. Switzerland Z8 3D femtosecond laser can select 30~150 degrees edge angle of the corneal flap according to the characteristics of the cornea in patients, corneal flap embedded with corneal basal layer , bonded together by physical, in addition to biological force, healing more quickly and resistant to shearing force, with less dry eye symtoms by quick healing of corneal nerve (pictured above on the right). (Previous femtosecond lasers most are 2D planar laser, corneal flap edge angle cannot be chosen arbitrarily, pictured above on the left). 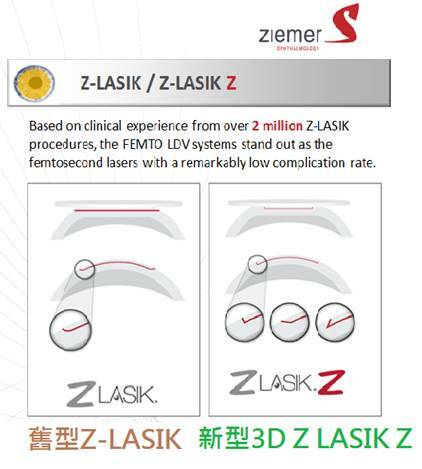 Z8 also can make oval-shaped corneal flaps, which are more compatible with the oval-shaped laser zone of astigmatism correction, with adjustable axis angles to promote the visual quality of laser astigmatism correction. 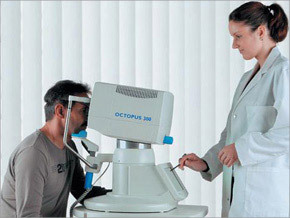 Active neurotract system to precisely tracking the true optic center of the eye. 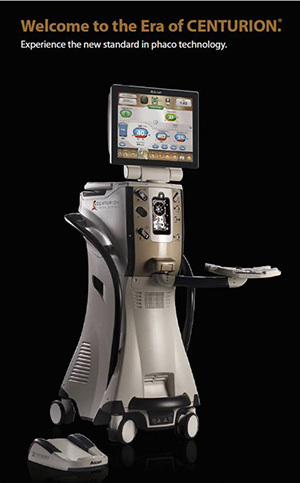 Custom Q aspheric program, small Gaussian profile laser spot, wavefront optimized program, optimal laser and tracking speed of 400 Hz, random flying scan, capable of correcting shortsightedness ,farsightedness, astigmatism and presbyopia. Novel pendular advancement safer for small and deep-set eye, curved head and blade to compress and protect corneal center, capable of safely elevate corneal flap as thin as 90 μm to perform Pendular Ultra thin-flap LASIK, Pendular-SBK. With Active Fluidics, which had dual pressure sensors and active fluid perfusion, a certain intraocular pressure can be set and maintain during surgery to reduce complication. 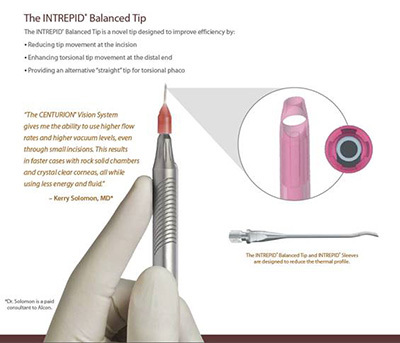 While the high efficiency torsional OZil Intelligent Phaco reduced the ultrasonic energy required, and Intrepid Balanced tip having fine ultrasound probe of innovative radian and sleeves, not only reduced the proximal twist and temperature, but also increased the distal swing to improve the efficiency of cataract emulsification. 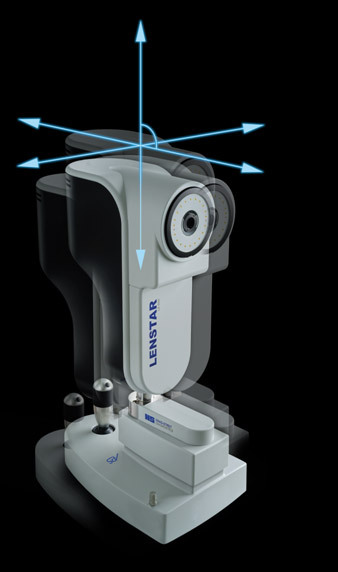 Using German Pentacam HR Scheimpflug 3D blue light rotatory scanning technology and Fourier analysis to evaluate the difference of cornea curvature, height and thickness.Accompanied by Belin/Ambrosio Enhanced Ectasia Display to detect keratoconus and Holladay EKR report to calculate accurate IOL power for cataract surgery. 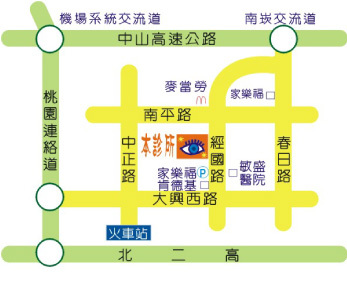 With Oculink program to perform Oculink LASIK to improve the vision of people with irregular central corneal curvature. 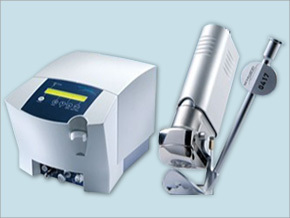 Capable of detect diseases of Glaucoma, optive nerve, macula and retina. Not only can detect corneal thickness to correct intraocular pressure, but also using Scheimpflug Technology to visualize and calculate corneal deformation after air puff to estimate corneal biomechanical properties. 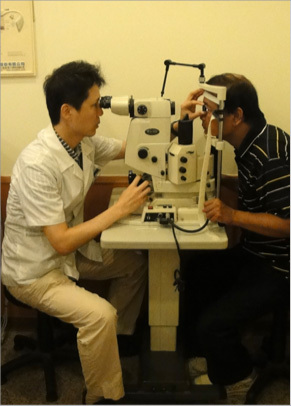 It is helpful for Dr. to evaluate eye condition before laser surgery. Capable of treating glaucoma, diabetic retinopathy, macular edema and hemorrhage, retinal hole and detachment, retinal hemorrhage and vascular occlusion. Capable of treating aftercataract, glaucoma, vitreous floaters. Capable of detect 1st to 27th degrees of high order aberration of the whole visual pathway, and measuring refractive errors precisely to 0.01 Diopter. Capable of showing corneal refractive map, detecting keratoconus, corneal ectasia or irregular astigmatism, helping prescribing ortho-k rigid gas permeable lens. 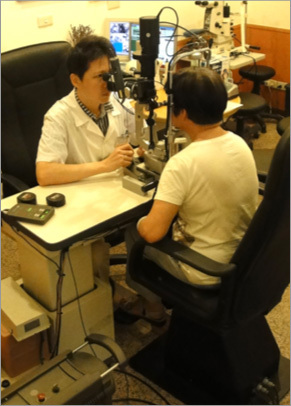 Using Optical low coherence reflectometry(OLCR),which developed from Optical coherence technology(OCT), to measure cornea thickness(precise to 1 micrometer),anterior chamber thickness, lens thickness, eye axial length, retinal thickness. 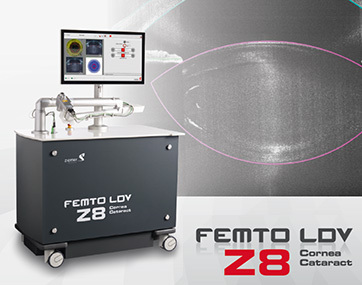 Using 2 zones, 32 spots technique to measure cornea curvature, astigmatism, axis, cornea and pupil diameter. Having Olsen program , which considering lens thickness, to calculate intraocular lens’ power. Also with Shammas No-History and Masket program to calculate intraocular lens’ power of post-LASIK patients. American Sonomed sonography, Japan Tomey ultrasound pachymetry, Japan Canon pneumatic tonometry, Japan Topcon Auto refractometry, American SciScan Statim Sterilizer, Unipolar and bipolar electrocauterilizer ...etc. Above introduction of instruments quoted from Alcon, Ziemer, Schwind, Wavelight, Haag Streit, Oculus, Coherent, Nidex. The effects of treatment may not the same for everyone and are influenced by the idiosyncrasy of persons. One should visit eye doctor for more specific information. ○C2017 Dr. Lin’s Eye Clinic.